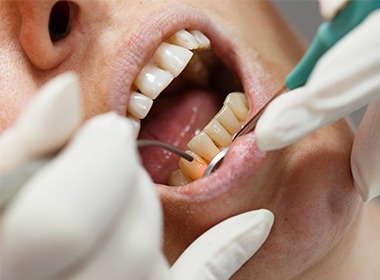 It used to be that a dentist’s best tools were small, handheld metal instruments, and while these are still commonly used today, your dentist’s options have now gotten a lot more interesting thanks to the introduction of dental lasers. State-of-the-art lasers now enable caregivers to perform a wide variety of procedures quickly and with unmatched precision. And, in the hands of Dr. Salivonchik and our team, many patients can now benefit from virtually painless treatments. To learn more about how laser technology could play a big part at your next dental visit, contact us today. One of the most important things we do for our patients is identify and treat cavities. 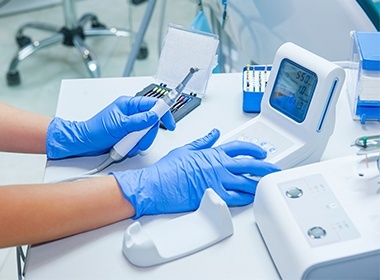 Since any spot of decay can threaten the integrity of an entire tooth, detection is key to preventing a host of potential problems. Looking & feeling for decay with an explorer have been part of dental exams for years. Such methods of decay detection are only 50 to 75-percent successful. Cavities can hide along fissure lines or inside biting and occlusal surfaces. Further, mechanical exploratory methods are limited to finding only those cavities that are equal to or larger than the probe head. To make the process more comfortable and comprehensive, we use Spectra, a revolutionary dental laser that finds cavities in the earliest stages. 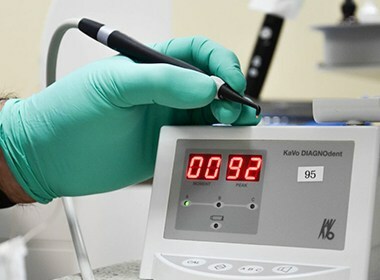 Spectra technology uses a special camera to inspect teeth, comparing reflection wavelength against a healthy baseline wavelength to uncover decay. As it pulses into grooves, fissures, and cracks, the camera reflects fluorescent light of a specific wavelength which is measured by receptors, is converted to a picture and then displayed on a screen. Any variation from the healthy baseline value stimulates emission of a different wavelength and alerts us to a weakened area of decay. 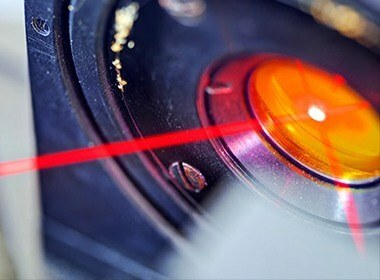 Not surprisingly, this technology quickly and precisely identifies even the tiniest bit of decay. This means shallower, simpler fillings, preserving more tooth structure, and providing a specific means of monitoring suspicious areas. No X-rays are required with Spectra, so patients do not have to worry about radiation exposure.